According to legend, in 1468 architect Jorg von Halspach went looking for money to build a new cathedral in Munich and ended up making a bargain with the Devil: the Devil would provide the funds for the huge building on the condition that it be a celebration of darkness, with no windows to let in light. When the building was complete, von Helpach led the Devil inside to survey his work, and to show him that he had held up his end of the bargain. Although there was light, there seemed to be no windows, and the devil was satisfied. 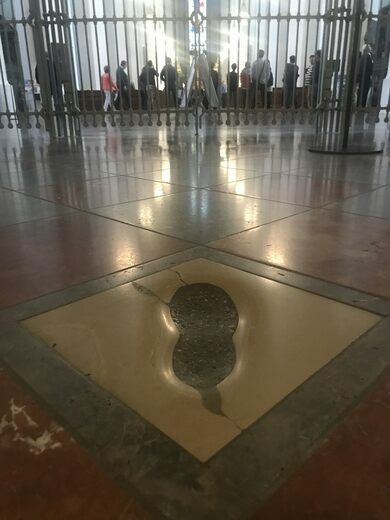 But then when he took another step further, the columns that had been blocking the view of the windows opened up and, in his fury at being tricked, he stamped his foot, forever marking the floor with his black footprint. 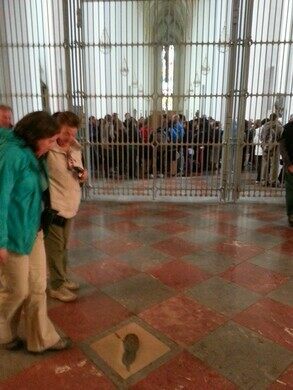 The large black footprint is still there, and indeed proudly shown off by the staff of the Frauenkirche as well as eager tour guides. Unfortunately, there are a few problems with the mythological origins. The first problem is immediately obvious: there is an enormous window at the end of the church which is not blocked by columns. 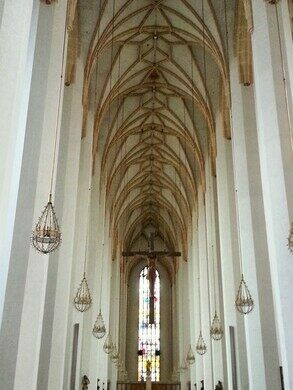 It was hidden behind a huge altar between 1620-1858, so it’s possible that the story cropped up during that time period. 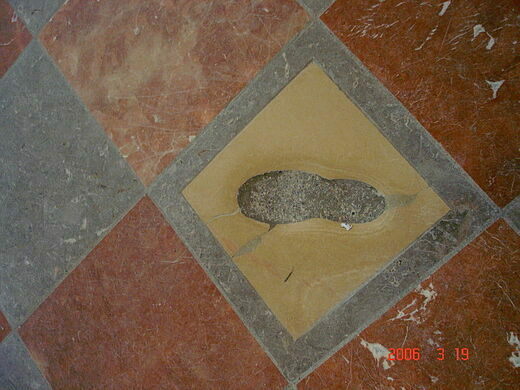 The second problem is with the mark itself - the large footprint is inset into a tile which does not match the surrounding floor. The church has been restored several times over the centuries, a huge restoration effort followed the collapse of the roof in WWII, with some work ending just recently in 1994. 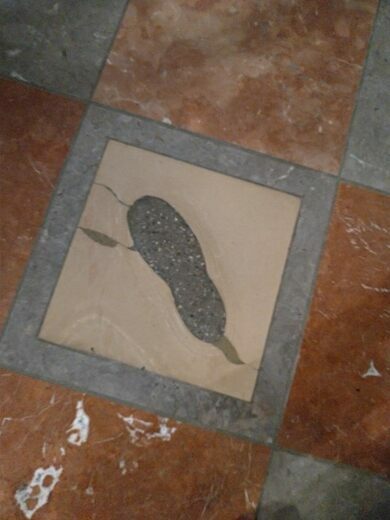 According to author Joe Nickell, the warden of the church admitted that the footstep now visible is a “reconstruction”, but it is unclear what exactly it is a reconstruction of, or when it first appeared.